Post Name: Assistant Manager: 77 posts. Total No of posts: 77. 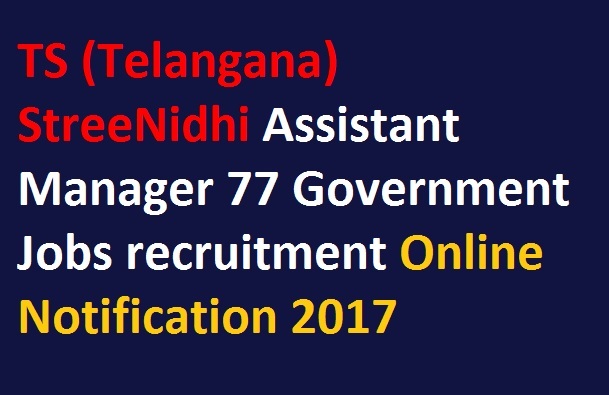 Pay scale : To get salary details please check the Telangana SreeNidhi Official website. 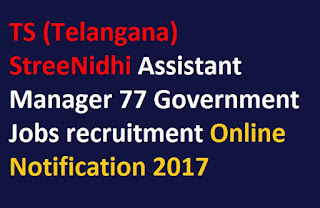 Qualifications : Please go through StreeNidhi Telangana official notification to get educational qualifications for the selected post. Age limits : Minimum age of the individual to apply for the current recruitment is 25 years and maximum age should be 35 years. Relaxation in upper age admissible as per rules.